AT has been taking swimming lessons at the pool in our neighborhood and she has really loved it. The frolicking, the dunking her head on-command, the positive reinforcement from a real-life swim coach — swimming and learning with an expert that isn’t her dad. It’s been a really great experience except for those periods where she has been inconsolably bawling. 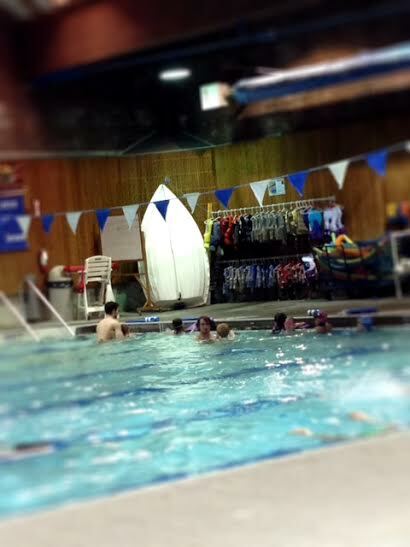 See, most of the staff at the pool is both adept at swimming and teaching, but also interacting with children. This is a hard job for someone that is really good at the former and not the latter. The pool in question and prior to meltdown. Everyone of the coaches she works with except that one overzealous guy that CAN’T SEEM TO REALIZE THAT 3 AND 4 YEAR-OLDS LIKE IT WHEN KIDS YELL, BUT NO SO MUCH WHEN ADULTS DO IT!!! He is great at generating looks of disgust and fear from his routine of excitedly showing how not-to swim gracefully (eg. flailing/splashing/yelling/thrashing/whipping his hair into their sweet little faces like a Merman). See, he’s really good at swimming, and he loves swimming, and see, well, GET IT? YEAAAAAAAAAAH! HE’S GOOD AT IT!!!! SPLASH!! ALSO KIDS!!! THIS IS NOT WHAT YOU’RE SUPPOSED TO DO!! OK??!! The last class was a couple of weeks ago and I had to walk over at a certain point and ask that Merman not be the one to work with AT as she was cowering in the corner and paralyzed with fear. She was the 2nd child to have to “hit the showers” early because Merman had scared them, yet Merman was blissfully unaware that his behavior was causing this. I was going to really just let it go (in the parlance of our times), but recently Andie moved on to invididual lessons and appears to have developed a fear of all men in pools. Part of me thinks this is a fear I should foster, but only the irrational part thinking about teenage pool parties and 80’s movies. I felt genuinely stupid about pulling her out of class because let’s face it, my generation is a bunch of wimps. Can you imagine what 4 or 5 generations removed from the greatest generation will be like? I’ll tell you, they will be ineffectual, afraid of Mermen and other mythical man-creatures, and pretty much afraid of everything. I’ll be tying her shoes when she’s 40 and living in my basement (which is really my parents basement). Thankfully, these kids will probably get to adolescence and live through a terrible economic depression and World War IV to strengthen their resolve. I was never that lucky and part of me really wishes I was. In all sincerity; it is a fine line between tiger-daddying and letting our children learn that people can be a bit scary, yet harmless. The Merman was definitely harmless and I could even see a flicker of acknowledgement when I had to ask that he stay away from my precious daughter. 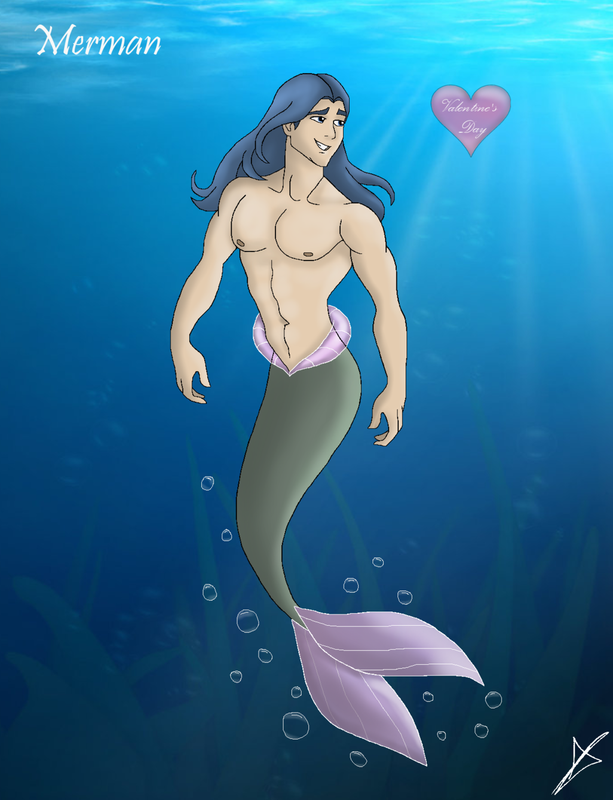 This is what AT envisioned when she thought a Merman would be teaching her how to swim. Oh how wrong she was.